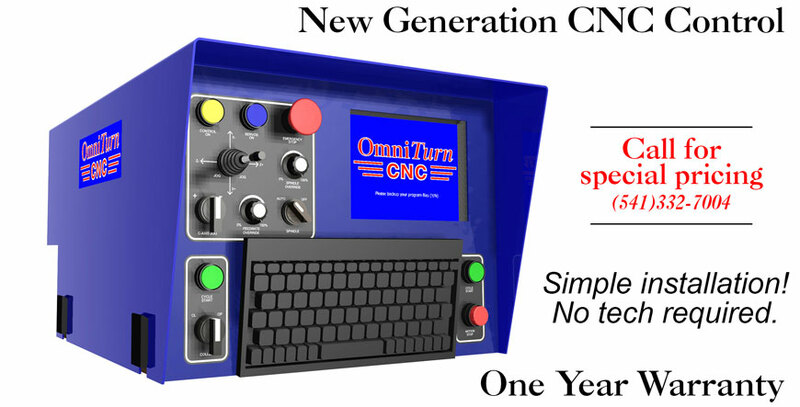 The original OmniTurn CNC control has served productively for twenty-seven years on thousands of turning-machines nation-wide. The new G4 control uses the latest ethernet technology for simpler and faster CNC Control. The standard control ships with three-axis simultaneous servo control (X, Z & C); a fourth simultaneous axis is available as an option. Using ethernet to connect the motion card to the computer requires fewer connections and less hardware, which increases reliability. 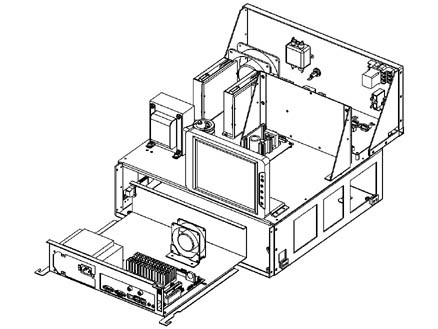 NC Electronics, Inc. designs and manufactures the OmniTurn CNC equipment. We were one of the first in the machine tool industry to apply PC based computer control to machine tools, and we've produced thousands of machines and controls since 1987. This experience is reflected in the latest G4 control. The G4 control is designed to replace an older generation OmniTurn controller. Requires some minor re-wiring in electronics cabinet and you're ready to run parts in minutes. All of your old programs are compatible with the new G4 control. NOTE: Some older spindle encoders are incompatible with the G4 CNC. If this is the case, we will offer a discount on a new encoder. Computer slides out for maintenance; easy access to all components. All motion-control related components are accessible from the top. To access the computer only the front panel needs to be removed. Fan-cooled, sealed enclosure stays cool and clean. Upper chassis fan blows directly on servo amps. Lower chassis fan cools energy-efficient Mini ITX motherboard. Motherboard has one PCI slot for network card; 128MB solid-state hard-drive. 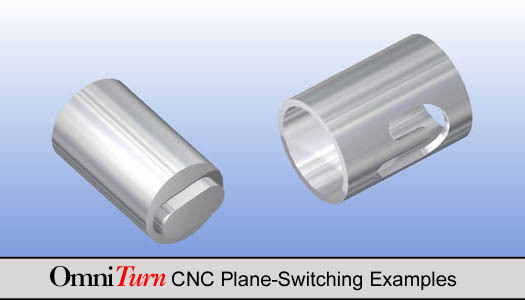 Plane-switching allows programming as mill, for features on face or side of part. Any X & Z move can be synchronized to spindle for custom threads, etc. Compatible with auto-vision to orient part in spindle. Plug-Compatible with existing OmniTurn machines.